Not always we bring good news to this section, but from time to time the conjunction of the planets engender a good piece of news and we are there to share it with you readers. This photovoltaic installation will generate the huge figure of more than 750 million kilowatts / hour of clean solar energy, enough to supply a city like Murcia with 440.000 inhabitants with electricity. 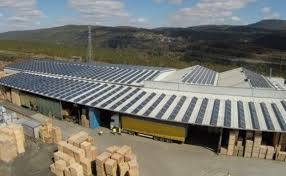 This photovoltaic plant will be situated in the municipality of Mula. The mayor was jumping up and down with joy and stating that it was a historic day for the town. "We are very happy for what it can mean for the municipality of Mula in terms of jobs, income for the municipal coffers, and also that the municipality will be a reference at regional, national and European level," and I am not surprise, Mula has been an agricultural municipality throughout its history and now has been blessed by the Gods and will become a point of reference worldwide for clean energy. With the project about to obtain green light from the Delegation of the Government of Murcia, and the imminent resolution from the town hall to grant the building licence, the project is in its final phase of development and very close to the beginning of the construction phase. The photovoltaic solar plant will be located in the southeast of the municipality, and will occupy an area of 1,000 hectares. 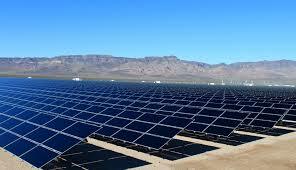 With an installed capacity of 493.74 megawatts the largest of the solar fields projected in Spain, the solar plant will produce more than 750 million kilowatts / hour, enough clean energy to supply a city like Murcia. The scale of the project makes it a unique initiative in the Region of Murcia and its implementation will involve an investment of 300 million Euros, placing the Region of Murcia at the forefront of renewable energy worldwide. The Cobra Group company, which was awarded 1,550 megawatts in the third renewable auction held in July last year, has recently acquired ownership of the project and will soon begin construction, which is expected to be completed by the end of 2019, where it will be fully operational. The management and first negotiations of this project commenced in 2011, complying with the processing phases in the different local authorities. The project currently has all the relevant environmental authorizations and administrative authorization from the Ministry of Energy, Tourism and Digital Agenda, which enables the construction of the photovoltaic power plant, electrical substations and power lines to begin necessary for the transportation of energy as once that this huge amount of energy is produced daily has to be transported to users throughout Spain. This photovoltaic solar plant in Mula, was declared a Strategic Project for the Region of Murcia, as it will position the Autonomous Community at the forefront in the development of large-scale energy initiatives, due to its size and its cutting-edge technical characteristics within large-scale installations. The local authorities foresee that the facility will create 200 jobs during the design, promotion and engineering phase of the project, more than 1,000 jobs in the construction phase and more than 100 in the operation and maintenance phase. Of the total number of jobs that will be created, it is estimated that 80% will be graduates, due to the high technological component that the installation will present in all its phases. Once this photovoltaic installation starts functioning, will produce electricity for distribution on the networks in the liberalized market, and will prevent the emission of large amount of polluting gases, specifically: 135,750 tons of carbon dioxide per year, 112.80 tons of nitrates and 168 tons of sulphur dioxide. Regarding the equivalence in fossil fuels, the energy generated would prevent the import of 94.51 Tep's (equivalent tonne of oil): 65.7 of natural gas, 26.4 of coal and 2.4 of fuel. A magnificent piece of news for all of us lovers of clean energy but the question that I am sure most of you are asking is: Why the hell this type of plants was not being built a long time ago in a country with abundant sunshine like Spain? A question I will try to answer in future articles.